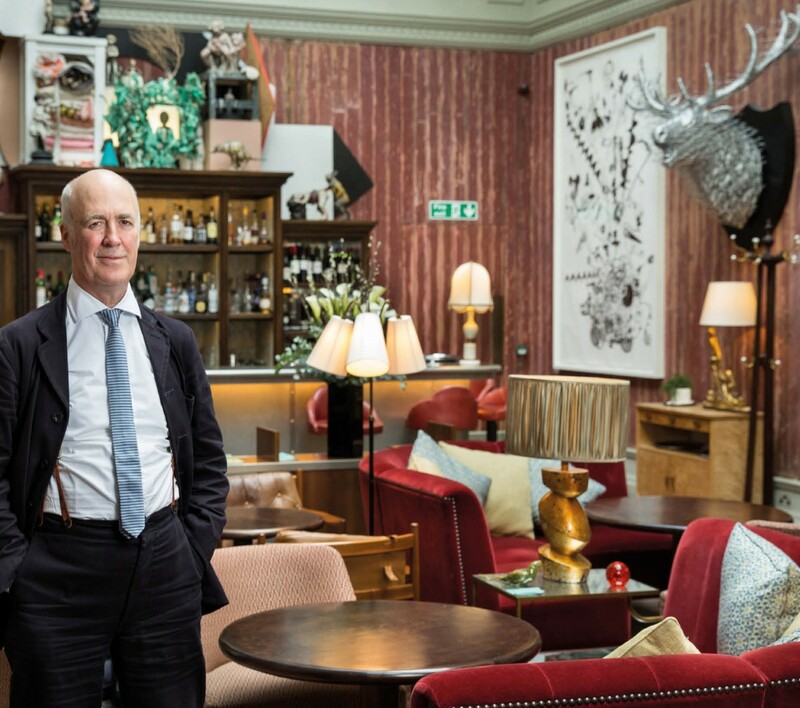 Dr Charles Saumarez Smith explains how and why the Royal Academy will help promote the London art market this summer. He doesn’t hurry but Dr Charles Saumarez Smith, secretary and CEO of the Royal Academy, is a man on a schedule. It’s the institution’s 250th anniversary in 2018 and a major redevelopment project, linking the gallery’s Burlington House premises with the nearby Burlington Gardens, is under way. He enters the Academicians’ Room right on time, smiles gently for the camera, speaks concisely but when our time is up, he stands and leaves at once. Next year may be his focus but he is placing a good deal of importance on the coming months. The RA’s summer exhibition beckons and now is the time, he suggests, to shift the international art market’s focus back to London. And the RA is poised to lend its weight to that endeavour. “We need to encourage people to come to Mayfair, to think of London as a centre for art,” Saumarez Smith says. This year, the season is marked by a new partnership between the institution and Mayfair Art Weekend (which takes place June 30-July 2). The rebranded Brown’s Art Weekend of years past is a chance for local galleries, auction houses and the RA to host a series of tours and talks. The event has more than 60 trade participants including Bowman Sculpture, Waterhouse & Dodd, Alan Cristea and Messums. The commercial galleries will welcome the kudos. But ATG’s question to the RA is, what’s in it for them? Saumarez Smith replies that it’s an acknowledgement of the fact that the academic and the commercial are nourished through co-existence and a way of “demonstrating mutual interest” at a crucial time for London. Audience is key. Sir David Chipperfield’s plans for the RA buildings – a double-height lecture theatre, a learning centre and more exhibition space – will mean a “step change” in the way the institution operates in its 250th year. Saumarez Smith expresses a hope that, for example, a more contemporary programme may attract a younger audience and that a rise in the cost of the annual membership for RA ‘friends’ will be understood. Many things won’t change. The annual Summer Exhibition of British contemporary art (this year June 13-August 20), has run without interruption since 1769 . It is still the UK’s largest open exhibition with any and all artists invited to enter works for selection to be displayed and sold. For Saumarez Smith this staple of the annual calendar is a reliable money-spinner and a crucial one, as all the revenue gained from the show goes toward funding the Royal Academy Schools, supporting its position as an independent, privately funded and artist-led institution. “Exhibitions are difficult to put on,” he says, and though the annual show doesn’t exactly run itself – it requires a huge amount of organisation, administration and judging – at least it involves a “predictable” set of challenges. Saumarez Smith insists that it should not be interpreted as an extension or snapshot of the larger art market and he’s quick to equate himself with the group that buys to own rather than to invest. Instead of attracting committed collectors, he says, the show appeals to a crowd of traditional, acquisitive, middle-class buyers. Saumarez Smith has a track record of implementing high-concept changes and popular exhibitions at historic institutions. At the National Portrait Gallery, where he was director from 1994-2002, Saumarez Smith oversaw the construction of the Ondaatje Wing and held shows of the works of Richard Avedon and Bruce Weber. At the National Gallery, where he was then director from 2002-07, he held exhibitions of artists from Titian to Hockney and in 2004 purchased Raphael’s Madonna of the Pinks for £22m. Exhibitions are “at the heart of any major institution”, Saumarez Smith says, which is why he likes to plan ahead, making sure everything is “stable and predictable”. Even so, he’s open to a bit of change – to the institution and its city – when it suits him. Bring on the summer, you can almost hear him say. 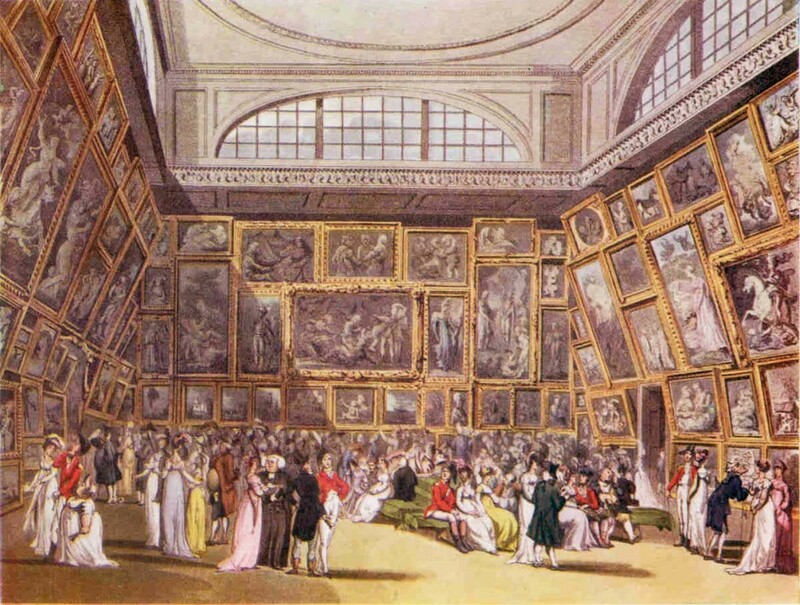 The first Royal Academy exhibition of contemporary art opened on April 25, 1769, and ran until May 27. This open exhibition, now known as the Royal Academy Summer Exhibition, has been staged annually without interruption to the present day. Pictured above is the engraving Exhibition Room, Somerset House by Thomas Rowlandson and Augustus Charles Pugin, as published in Rudolf Ackermann’s Microcosm of London (1808). In 1837 the academy moved to the east wing of the National Gallery in Trafalgar Square and in 1868, 100 years after the academy’s foundation, it moved to Burlington House, Piccadilly, where it remains. Last year’s show, pictured below, drew the highest attendance in 60 years. This year’s event runs from June 13-August 21, with tickets costing £13.50 (or £12 without a donation). 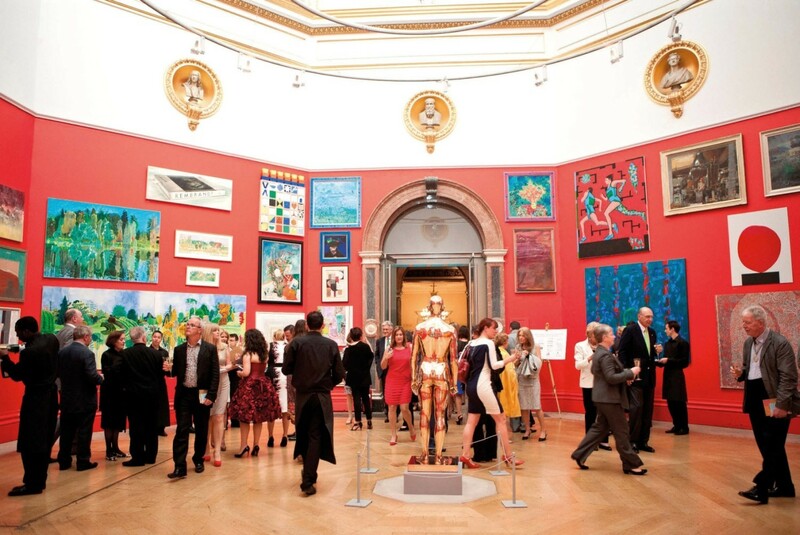 Last year's Royal Academy Summer Exhibition. Photo: © Darren Gerrish © Royal Academy of Arts, London.